I never considered it before I started looking for these plants but some of them exhibit sexual dimorphism, an obvious physical difference between male and female. 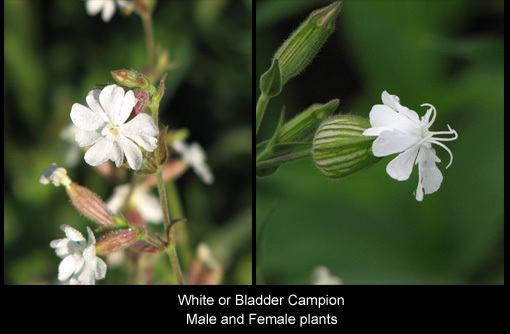 The Silene is a good example. The male leaves are narrower, its sepals are pigmented and the flowers are smaller but more abundant. The females are a brighter white, their bases are inflated and they rise on taller stems. Bittersweet also exhibits differences when young. My male is smaller but its leaves are broader. The female is a vigorous grower and is four times as large with narrower leaves. 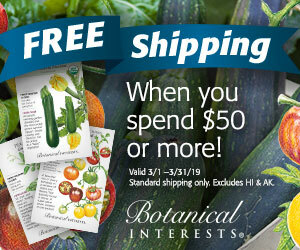 There are generally two kinds of plants available, American and Asian. I suspect my plants are Asian, based on the way the flowers and fruits are distributed and arranged on the stems. My desire is to grow only the native species. Well that’s the excuse I’ll use for their removal because, except for the little fruits, there is nothing distinguishing or interesting about their growth or foliage. I’m happy to try something new. Maybe from the next group of plants. Kiwis from the market are also vining plants and yep, they have two houses too. Buy plants from a reputable seller if you want fruit and be sure to always get two. The Kiwi genus is Actinidia (ak-tih-NID-ee-uh) and if you’re willing to venture into new territory there are ones that are hardy into zone 4 and maybe even 3. Their fruit is smaller and hairless than the typical Kiwis and they’re also green when ripe. I recently bought some of these fruits, marketed as “Kiwi berries”, that were the size of large grapes. No peeling was required as the skin is soft and edible and so are the miniscule seeds. The taste was delicious, showing a flavor kinship to grapes, bananas and custard. If you think of them as “fancy” or “gourmet” grapes you’ll really enjoy them. Actinidia plants themselves are handsome enough that even if they didn’t fruit you would want them climbing on something. In fact, the species kolomikta (koh-loh-MIK-tuh) is grown for its foliage. The leaves are naturally variegated with a large pale area at the tip of each leaf. The best cultivars tend towards white and sometimes even pink. The male is the showier of the two. If there is one plant that most people know you need two for fruit it would be Holly. 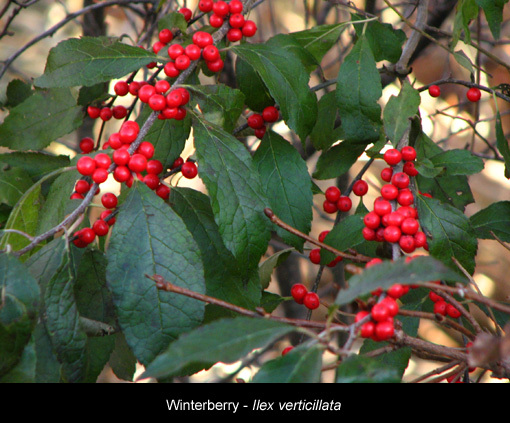 A mainstay for the holiday season, the evergreen ones are often the backbone in many borders. There are many species, varieties, and hybrids. Lists are available that recommend which males and females are the most compatible with each other. Think of the list as a dating service that has pre-screened and matched up the possible partners based on their flowering time and the species involved. 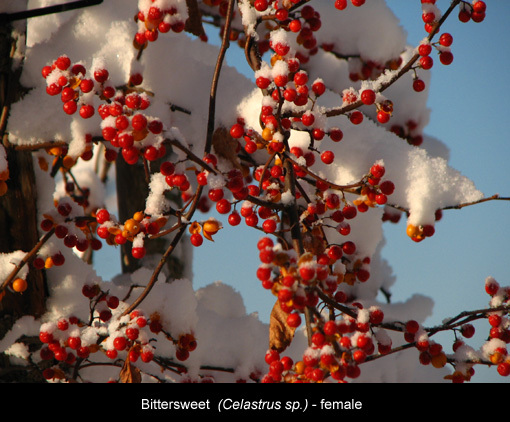 There is another shrub that is also associated with holidays but you’re more likely to have sniffed it than seen it and that’s Bayberry. 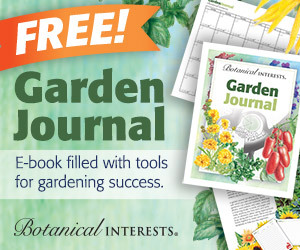 Plants grow best in part shade and are nominally evergreen but its steel blue berries are the real reason to grow it. A friend with an herb business used to collect the berries and their seeds from a splendid patch growing at the largest mall in the Albany region. But they’re no longer there as the mall removed the plants and created an employee break area in their place. I keep hoping a seed or two might have been overlooked and the plants can grow again but so far nothing has come back. 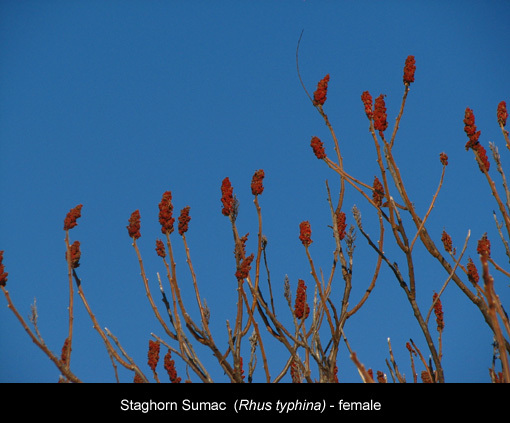 The Staghorn Sumacs around here are what helped push me to write about this subject. Some plants had large red fruits on their terminal growths while others didn’t and I wondered why. I wish it had come to me intuitively but no, I looked it up. These are large plants and their non-stop suckering makes them ill-suited for any but the largest gardens. I mature clump can easily be 30 x 30’ and larger. The golden leaved variety “Tiger Eyes” is reputed to be smaller and less aggressive. These distinctions of male and female are great. Thanks for your explanations.